Great things come in small packages! The light-weight, compact design makes the Reliant spotting scope series your carry anywhere scope, ideal for any outdoor enthusiast. Featuring BaK4 prisms; fully multi-coated optics for increased brightness and crisp image detail; and nitrogen purged waterproof / fogproof design for all weather use. 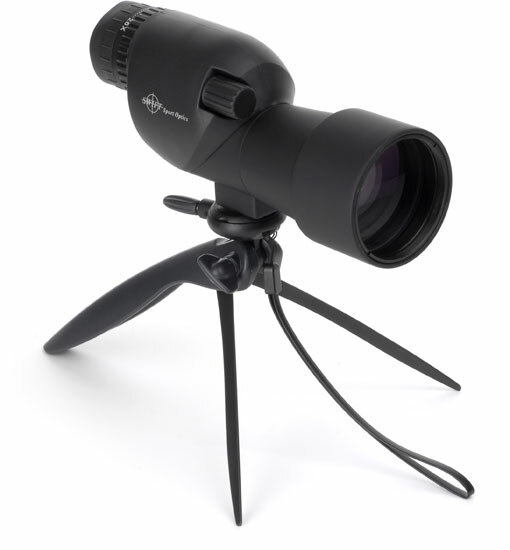 Complete with eyepiece, click-on objective cover, microfiber lens cloth, padded field case and table top tri-pod.